Two months in the row, Ipsy gifted me with amazing microdermabrasion scrubs. The Derma E version is the more natural alternative and I think it is super close to the Dr. Brandt. I would call it a dupe. Maybe I will do a separate dupe post to compare the two! It won’t be banned by the new Illinois no tiny plastic scrub balls in the drain policy. What? Oh you didn’t know? Here. Your state may be next, find an alternative! 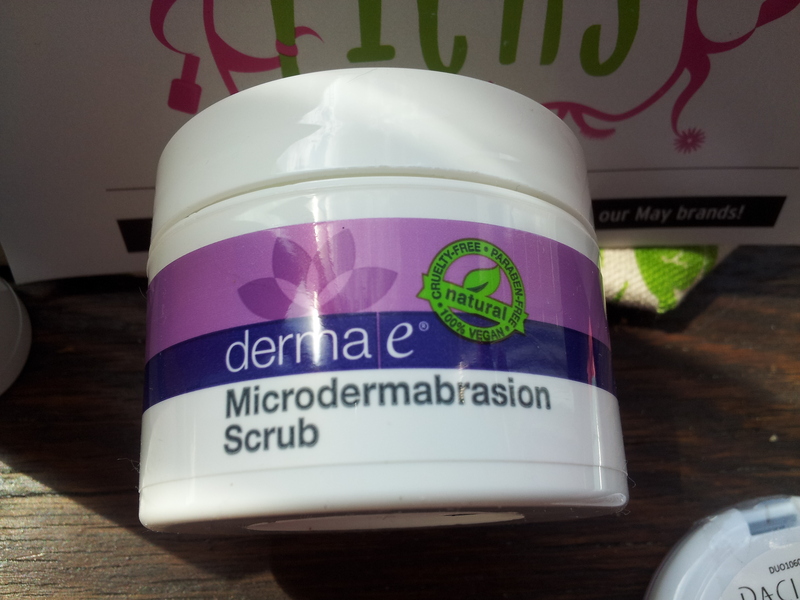 Do you have a favorite at home micordermabrasion sub or scrub? Share! 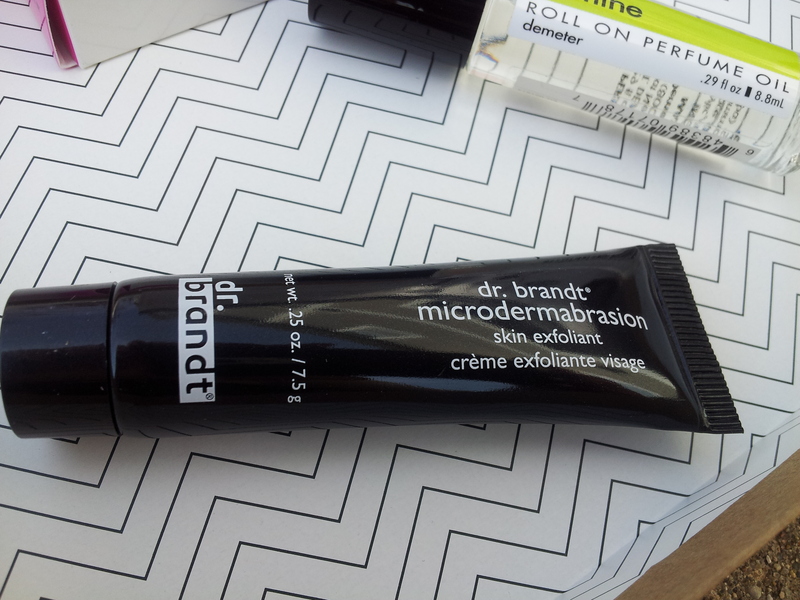 I received a sample of the Dr. Brandt Microdermabrasion in my Ipsy in April. I realized that I never posted my April goodies, SO SORRY!!! However, I loved this so much I needed to tell you lovelies. The sample lasted me a few uses. I thought this was so phenomenal, I ordered a full size after the first use. This says that is mimics a salon/spa microdermabrasion and it really does. I have never felt anything remotely close to a professional micro before this. I was sold, immediately. If you have never had a professional microdermabrasion, expect to feel like there are a million little rocks/ crystals/diamond flakes scrubbing your face. It doesn’t sting while you are doing it, but it doesn’t feel good. Your face will be tender afterwards. It can be red. It can sting when you apply another product after, especially if it is anything “anti-aging”. I use it twice a week like the company suggests, and I am loving the results. SO MUCH CHEAPER than a salon/spa service. Hey guys! 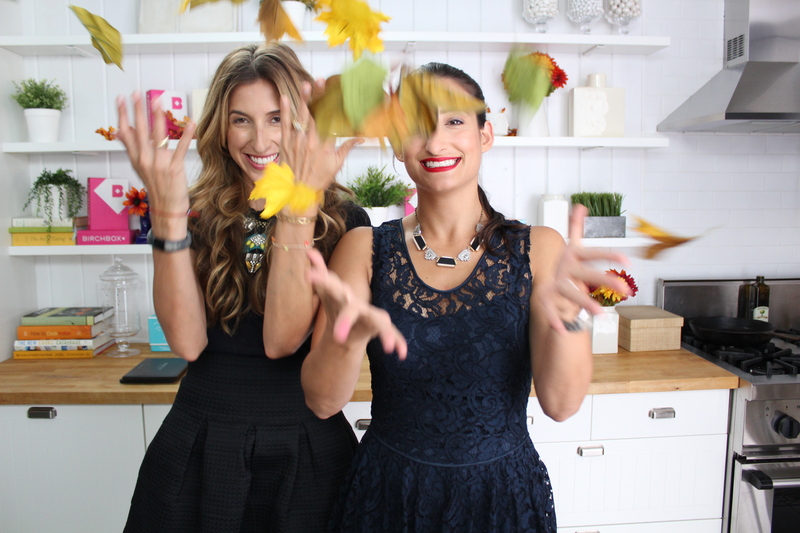 Here is the new BirchBox sneak peek video! Want 15% off your next BirchBox Order? Just use code: BIRCHBLOGGER15 at checkout to get your discount!